Arguably the greatest jazz album of all time (and, some would say, the greatest album of all time regardless of genre), Miles Davis’ landmark 1949 album Kind of Blue crosses its 50th anniversary this fall. Under most circumstances, the further aging of a very popular album would mean another reissue, maybe a documentary, and some write-ups in the music press, and Davis’ masterpiece has already seen all three of those in spades. But in the case of Kind of Blue, there may be a little more significance than just a round number of a birthday because five decades on, most would agree the rest of the jazz world still hasn’t cleared the bar set by Blue. The title of “Greatest Rock Album” is at least subject to some debate, while “Greatest Metal Album” changes by the year and “Greatest Rap Album” seemingly by the minute. Yet Davis, five decades later, still stands unrivaled in the jazz world. How did he and his cohorts do it? How is it possible for so much of Kind of Blue‘s legacy to have so little to do with music yet at the same time stand as one of the most timeless and flawless musical works ever created? And, most importantly, what did Miles know that no one else knew? 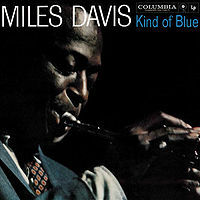 Many a music writer has used terms like “innovative,” “important,” and “classic” to describe why Kind of Blue is so essential a recording, but anyone familiar with the album knows those words all fail to do it justice, and that Blue is one of the few albums that actually defies objective criticism. Yes, it was important and yes, it eventually became a classic, but the simple fact of the matter is that so much jazz sounds like the music of Kind of Blue for the same reason so many rock bands sound like Led Zeppelin or The Rolling Stones; no one ever said “Wow, this innovation really moves me in a primal, emotional way.” In the space of 45 minutes, Davis and company made the jazz that sounds the way people think jazz should sound, but never plays exactly the way jazz should play: lots of people have employed smoky horn sounds and laid-back, ride-heavy drumming, but those legions of musicians still point to Kind of Blue as the gold standard. Legend has it Davis didn’t tell the rest of his sextet what they were going to play once they arrived at 30th Street Studio, and unfortunately this isn’t true. What is true is that Davis handed his bandmates mere sketches and accompanying scales. “Blue in Green,” for example, began simply as Davis handing pianist Bill Evans a note reading “G minor” and “A augmented” with instructions to explore the scales. Davis’ employment of modal improvisation was not a new invention at the time, but using scalar notation for entire tracks, rather than just for solos, was absolutely unheard of in jazz – or in any genre. In the hands of lesser talents, this would probably result in disastrous jam session results but Miles had the advantages of having improv-trained professionals. He also had no real preexisting precedent for this kind of recording strategy, save for his own experimentation on 1958’s Milestones and 1958 Miles. The sextet was not simply following the guidance of the master, but also of the originator. Davis’ lineup at the time – John Coltrane on tenor sax, Cannonball Adderley on alto sax, Jimmy Cobb on drums, Paul Chambers on bass and Evans sharing piano duties with Wynton Kelly – was quite possibly the most powerful working band in jazz at the time. Even so, the group at times threatened to collapse under its own weight: Davis and Coltrane clashed over the role and length of the latter’s solos before he eventually became his own bandleader in the 1960s, and Evans had already quit the group once before to go it alone. Coltrane’s struggles with booze and heroin had led to a previous firing from Davis’ group in 1957, but while the mighty replacements Davis found in Sonny Rollins and Art Taylor could play as well as Coltrane, they couldn’t play like the sound Davis heard in his head; in other words, they couldn’t play like Coltrane, and playing like Coltrane was what Davis wanted out of his tenor sax player. Davis brought Coltrane back aboard to round out his new group into a sextet (with Coltrane and Adderley trading leads), although stylistic and personal differences would later lead Coltrane to leave the group again, this time voluntarily and permanently in 1960. Kind of Blue didn’t just sound different than everything else before or since, but it was actually conceived in an entirely different fashion. Where most jazz at the time was based on reactions to whatever other musicians were playing – a kind of ongoing, mostly friendly competition – Davis drew his inspiration from a 1953 book by classical pianist George Russell entitled Lydian Chromatic Concept of Tonal Organization. In it, Russell mapped out a new foundation for jazz, based not on chords, nor even on riffs or scales, but in a self-contained lead melody that drove the rest of the band, rather than vice versa. In this, Davis saw music without boundaries, a giant step closer to his self-proclaimed life goal of “want[ing] to learn all the changes.” While much of the unique approach and style of Kind of Blue owed in part to Davis’ own vision, most of it rose from Davis’ simple refusal of the old methods: no one had ever heard anything like this because, quite simply, no such thing existed. That so much of the album was recorded live in-studio should come as no surprise considering the tremendous performing resumes of the involved players, but Blue was also a lesson in efficiency: the entire album was recorded in a mere two days. Countless musicians have spent months, years, even decades on end trying to get their epics out of their head, only to divide and alienate the people they were trying to please and have their work almost immediately forgotten. Davis, Adderley, Coltrane, Cobb, Chambers, Evans and Kelly, on the other hand, clocked in, clocked out and went on with their lives with nothing to show for those few hours but a collective masterpiece and musical immortality. Fifty years on, the world still struggles to figure out their secret.